Hello friends! I hope you all had a wonderful weekend. We celebrated my sweet boy's birthday and also woke up to this the morning of his party. Wow, right? 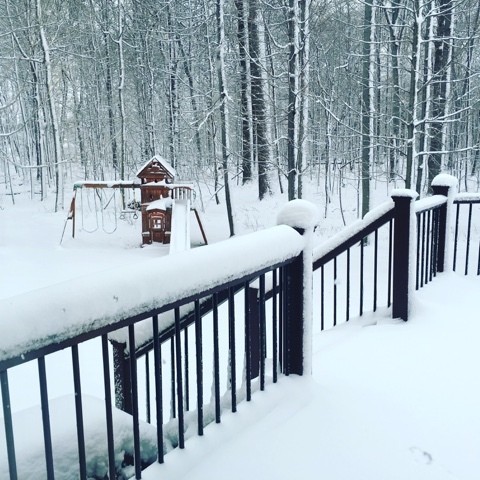 We received some serious snow on Friday night and thankfully it melted as quickly as it came. Let's hope this is the last of the snow until the Fall! 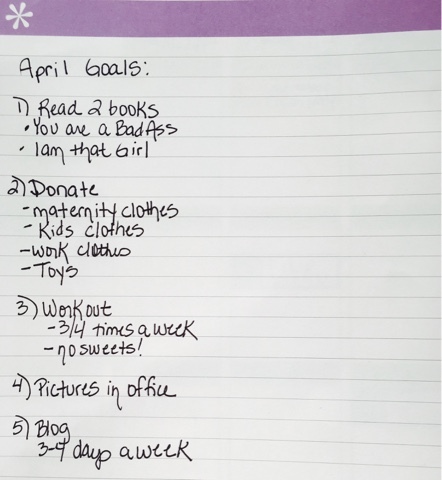 I sat down this morning with my coffee in hand and decided it was time to organize my April and jot down my goals before the month got too far away from me. 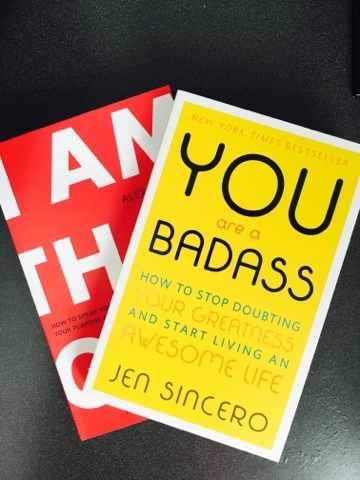 I purchased these two personal development books recently, "I Am That Girl" and "You Are a Badass" and really need to sit down and read them. I am prone to just picking up my iPhone late at night after the kids are in bed and will just aimlessly scroll through Facebook. A total time waster when I could be reading something with a little more reading. Time to put down the phone and pick up a book! 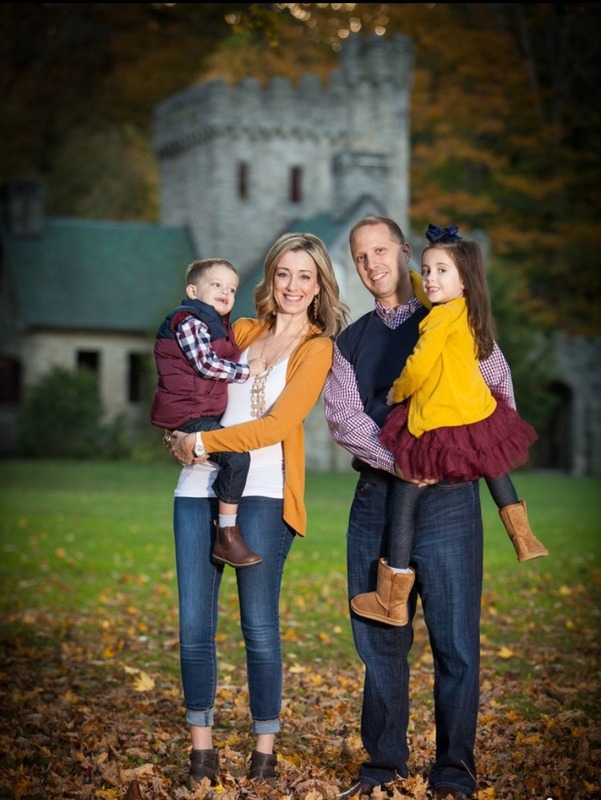 For the first time since we have had kids, I am starting to feel overwhelmed with all of the extra "stuff" we seem to have in our home these days. We have boxes and boxes of baby clothes and toys that are no longer being used and just taking up space all over the house. I also cleaned out my own closet this Winter and pulled together a bunch of old suits and over 20 pairs of Ann Taylor work pants from my Corporate America days. They are simply just collecting layers of dust in my closet. Throw in 3 under the bed storage boxes of maternity clothes that I recently discovered and we are suddenly on the verge of an episode of hoarders. Something needs to be done and I simply need to just make the time in my busy schedule to take these items to a Woman's Shelter and Once Upon a Child. I know this is one goal that pretty much goes without saying, however with swimsuit season on the horizon, it's time to take this a bit more seriously! I have dusted off my 21 Day Fix DVD's and trying to put aside 30 minutes a day to get in a workout. 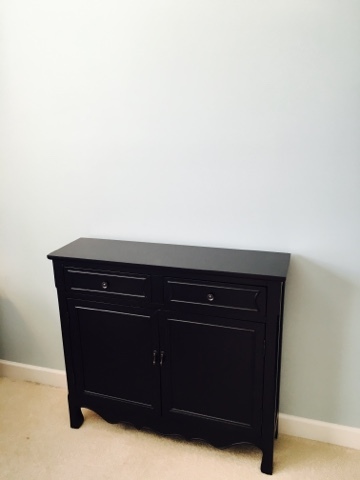 I bought this adorable cabinet over the holidays for my office with the intention of hanging 4 inspirational quotes above it. 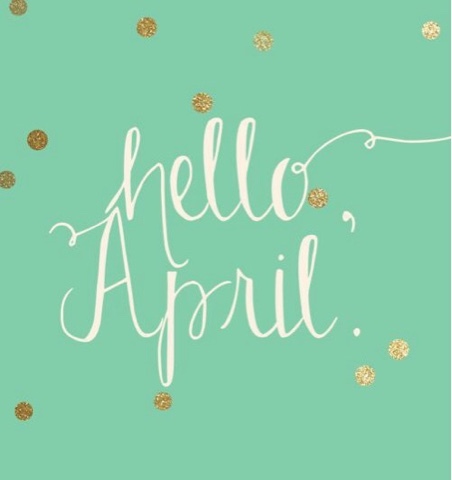 Here we are in April and it is still looking pretty lonely :) Hoping to knock this one finally off the "to do" list! One of my goals for 2016 was not only to blog more but get back into the Blogger community. I want to get back to reading all of the blogs I love, comment more and truly get back to where I used to be. 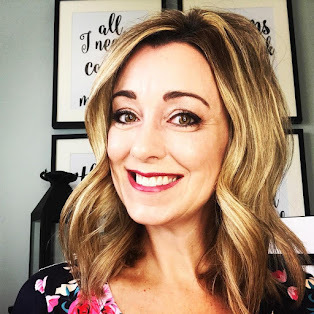 I have met some amazing bloggers that I am fortunate to now call friends over the last 10 years and really want to get back to what I love about blogging. I can slowly feel myself getting my blogging "groove" back and excited for what the future holds. 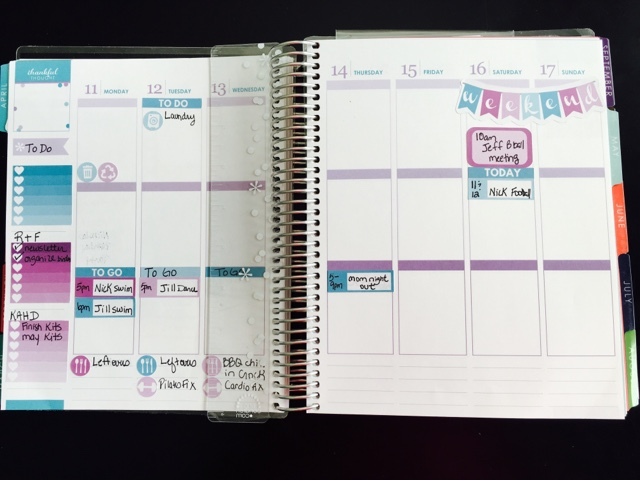 Planning out my week in my Erin Condren planner certainly helps bring a little sanity to our busy schedules. To add to the chaos, both kids began swimming lessons yesterday in preparation of the warm months ahead. This week I am using my new April weekly kit which is color matched to Erin Condren's color palette. 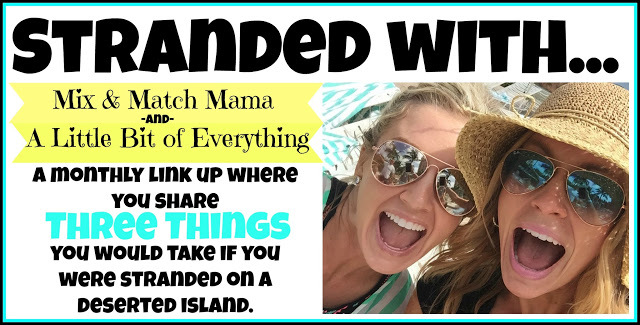 Thanks for reading today, see you back here tomorrow where I will be linking up with Shay and Erika for their first STRANDED linky party. I will be sharing What three things would you take on a deserted island from your medicine cabinet? Stay tuned!